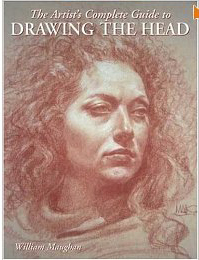 My house is bursting with books on drawing, and I have to say if the house caught fire the only one I would grab on my way out would be this one. What the author teaches is the route to ART, not a technical way of copying a likeness. I would highly recommend it. Doug's Comment: I'm interested in this drawing book for two reasons; the cover, and your convincing review of the book. I will be content to help save this web site in to our folder. Many thanks! The way you express yourself is awesome. Hey, your blog is great. I loved this book too and was amazed at what I could do with his instruction, but had trouble finding the paper the author said to purchace. I went all over town and finally had to settle with a grey paper. I have gone to every internet site. Yours is an inspiration. Thanks. Join in and write your own page! It's easy to do. How? Simply click here to return to Favorite Drawing Books.